Jump to video Is the Tea Party taking over the GOP? Republican presidential candidate, former Massachusetts Gov. 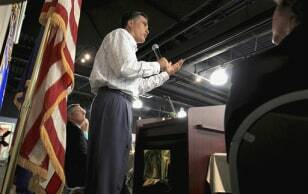 Mitt Romney addresses the Rotary Club at the Red Hook Ale brewery in Portsmouth, N.H., Thursday, July 14, 2011.